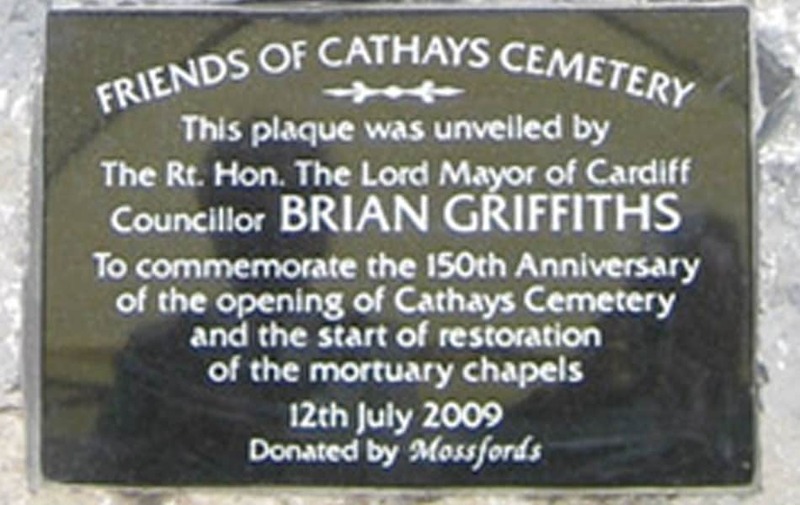 The importance of Cathays Cemetery to Cardiff is historically considerable. Many of the most ornate and elaborate monuments as well as the more modest memorials were carved and erected by Mossfords. These monuments, memorials and the cemetery generally have a major cultural and historical significance to the city as a whole. 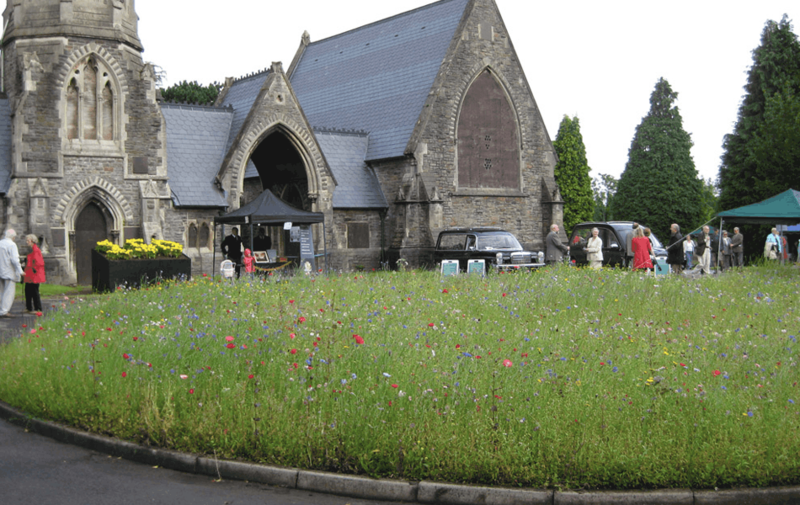 Therefore Mossfords were delighted to help the “Friends of Cathays Cemetery” when they organised an event in the cemetery to commemorate the 150th Anniversary of its opening. 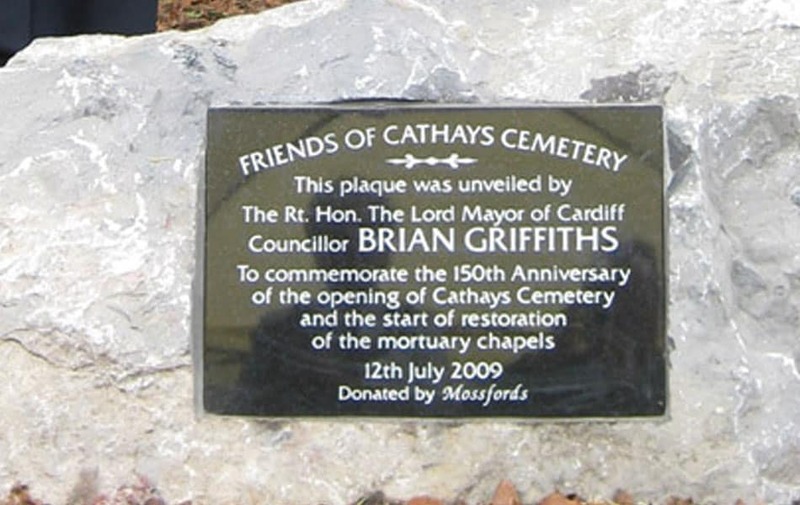 A polished black granite plaque inset to the face of a naturally hewn boulder was donated and erected as the centre piece of the commemorative celebrations.